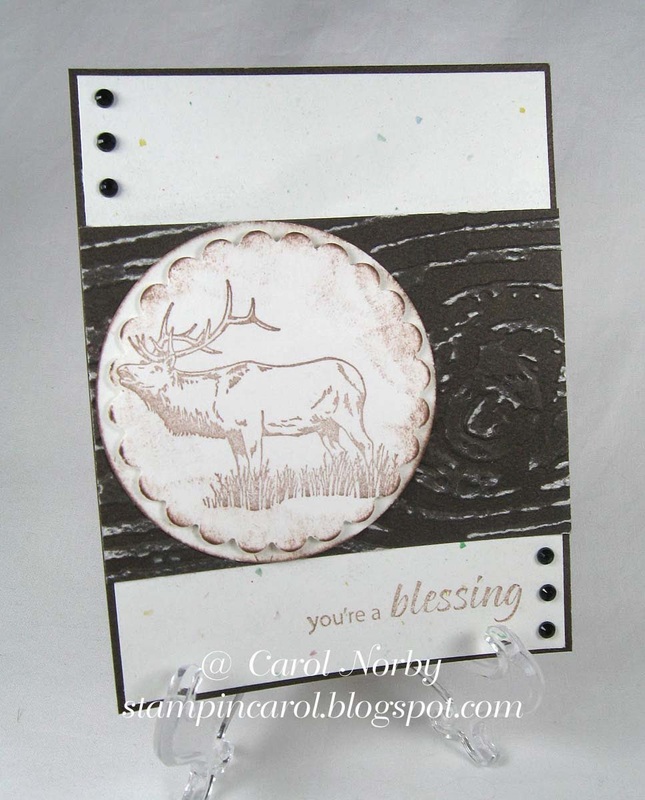 Stampin Carol: Elk Blessings.... Say What? 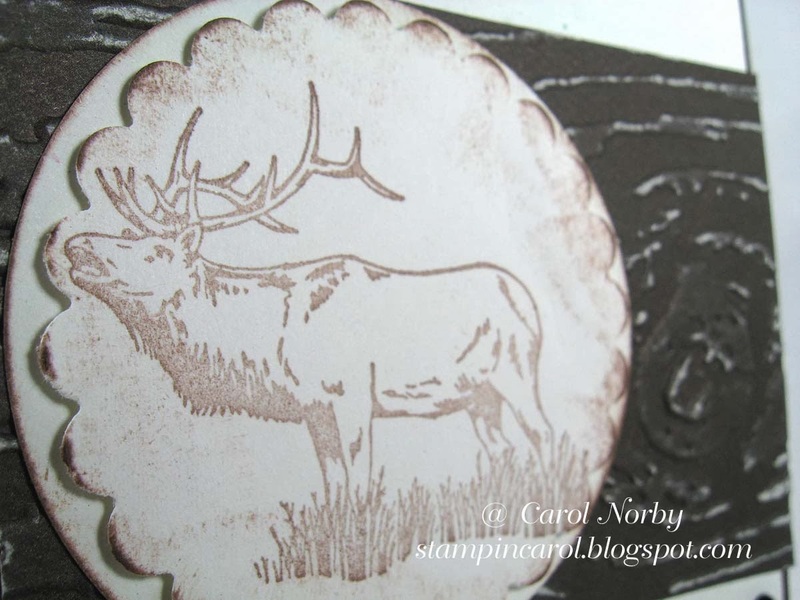 I have been reacquainted with a stamp set I purchased so many years ago which is now available from Red Rubber Designs. Stacy, an ex-angel like me, submitted a card for the current challenge on Red Rubber Inspirationals. I haven't yet made a card but this card is in response to hers. The elk is from a set called Moose. There are 4 stamps in the set, 2 moose, and elk, and a deer. I won't be using this card for the challenge but may come up with something else. I also used the set, Joyful Notes, for the text. I had some Authentique paper that I wood embossed to make the card more masculine and used a scrap of confetti paper (cream paper with colored flecks) and some cream for the light pieces. I also used 2 circle punches. Check out the challenge and Stacy's card. I have a 3 day scrap retreat coming up on Friday and I haven't even started packing!